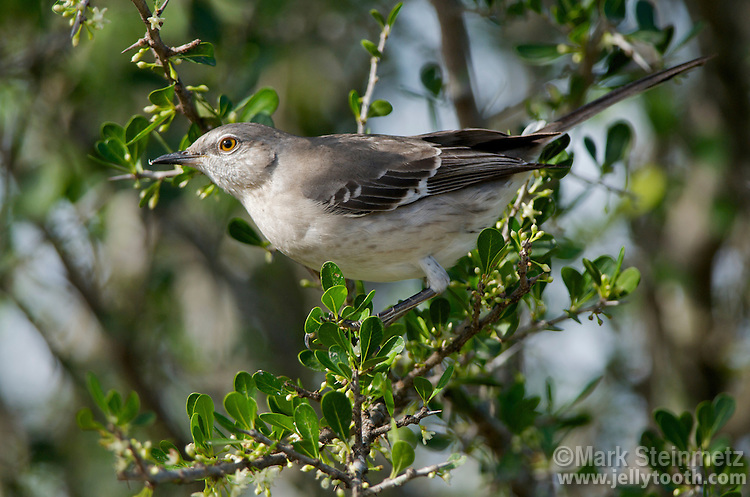 Northern Mockingbird (Mimus polyglottos), a common and wide-ranging mimid native to North America. The state bird of Arkansas, Florida, Mississippi, Tennessee, and Texas. Lower Rio Grande Valley, Texas, USA.